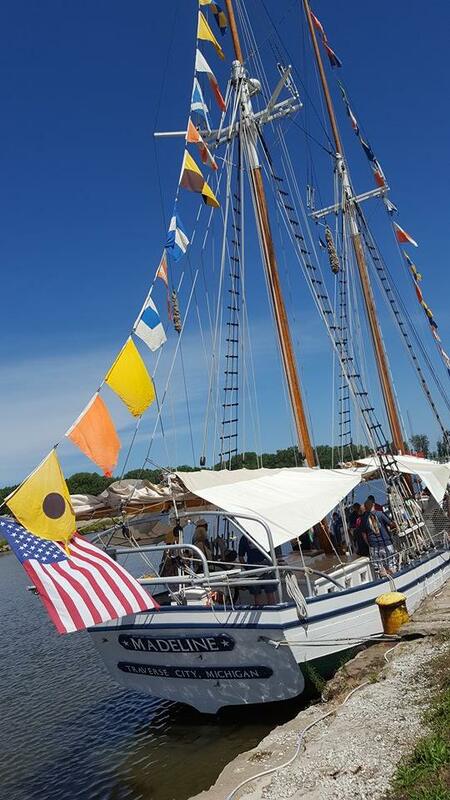 It was a sunny and beautiful day when Tall Ships sailed into Fairport Harbor. Tall Ships is an event where vessels of all sizes and purposes sail into local harbors to educate and entertain enthusiasts and people looking to have a good time. Some of them were schooners, which is another word for sail boat. You could even have the opportunity to sail on one of them! There were plenty of food trucks, vendors, and music as well! I was able to interview three captains of three different ships. 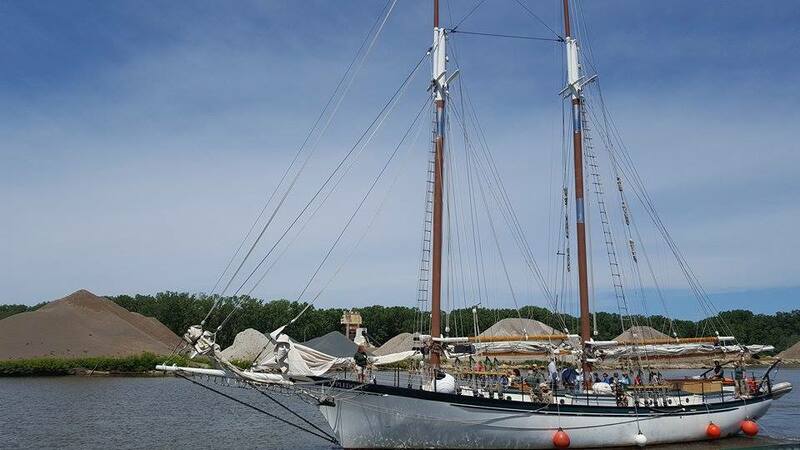 The first of which was the Madeline, a schooner that was actually built in Fairport twenty-seven years ago that sails from Traverse City, Michigan! The Madeline’s captain, Rod Jones, informed me of the rich history of the ship. All of the people who make up the crew of the Madeline are volunteers, and are taught how to operate the ship. 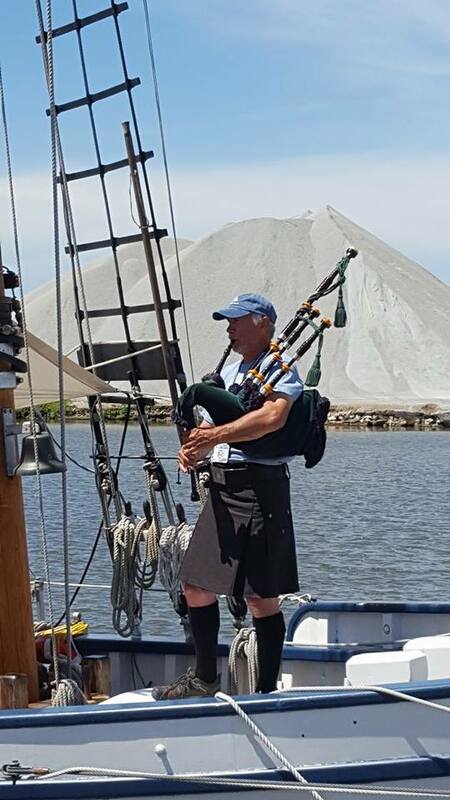 The Appledore IV, captained by Jamie Trost, is also a schooner that sails from the Bay City area in Michigan. The crew of this ship is also on a mission to educate students about the environment and how the nutrients from soil in runoff affects the algae bloom in our freshwater lakes. The Appledore, which sails with a crew of 5, was also the schooner giving rides during the Tall Ships event! There was even a coast guard ship able to educate people during the event. Petty Officer Ramsey of the Coast Guard 45 Response Boat Medium informed me that the vessel was five years old and used for situations such as law enforcement, search and rescue, and towing. He educated me on the importance of always wearing a life jacket when boating and always letting someone know when you enter the water! 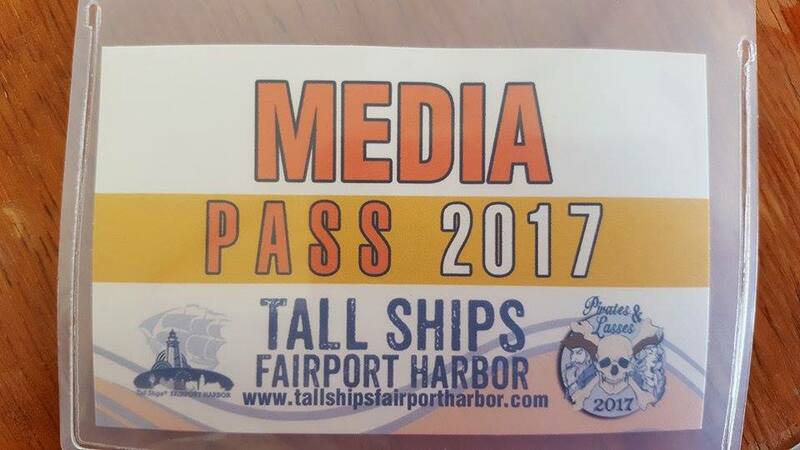 Overall, Tall Ships was a wonderful event that educated and brought interest to many in the Northeast Ohio area, and Great Lakes region. Tall Ships is a traveling event, so find them at a port near you!